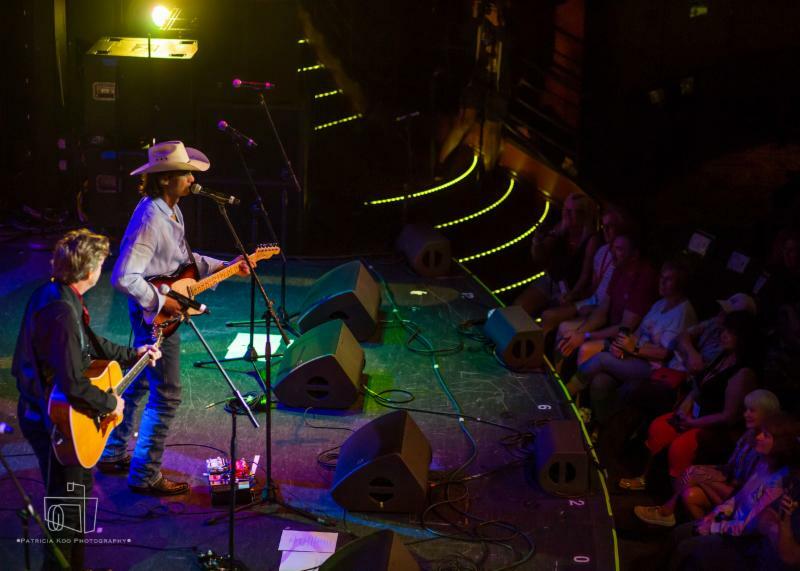 (Fort Lauderdale, FL) -- March 18, 2019 – The 2019 Country Music Cruise is in the books, and the 2,000 cruisers enjoyed sun, surf, sand and non-stop music for seven days through the Atlantic and Caribbean. Presented by StarVista LIVE, the premiere company producing seven star-studded, music-themed cruises, this sixth consecutive sold-out journey was highlighted by headliner Jeff Foxworthy and some of the biggest names in country music. 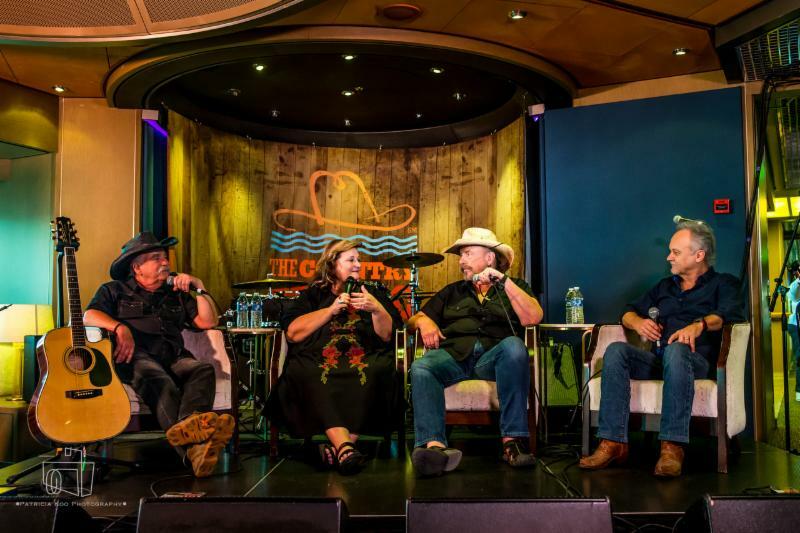 The 2019 Country Music Cruise boasted a lineup that also featured The Oak Ridge Boys, Patty Loveless, Ronnie Milsap, Ricky Skaggs, Joe Diffie, The Bellamy Brothers, Shenandoah, Jimmy Fortune, Johnny Lee, David Ball, TG Sheppard, Jeannie Seely, Wade Hayes, Chuck Mead and His Grassy Knoll Boys, the Elvis tribute artists and a special Grand Ole Opry at Sea. Popular television and radio personality Lorianne Crook and cruise host Jason Venner presented each headliner in the intimate All Access Pass Live Interview. Each session gave exclusive insight into the lives and careers of the artists and gave audience members the opportunity to ask questions of their favorite stars. The nightly Songwriter Sessions saw many of the artists joining songwriters Erin Enderlin and Shawn Camp to tell stories behind hit songs they had written and then perform those songs as they were originally composed. Impromptu jam sessions popped up virtually every night after all the official performances had ended. Country music legend Jeannie Seely renewed her wedding vows with husband Gene Ward during the cruise, and Country Music Cruise guests had unprecedented opportunities to meet and mingle with the stars aboard what has been called the ultimate country music party. Super Bowl-winning coach Barry Switzer told the story of his moonshiner father at one of the two Grandaddy Mimm’s Moonshine tastings. Cruisers socialized with their favorite artists at theme nights, panel discussions, cooking demonstrations, jam sessions, meet and greets, autograph sessions and more. The non-stop entertainment extended to excursions and performances in Key West, St. Thomas and Half Moon Cay, Bahamas. StarVista LIVE’s recently announced partnership with the T.J. Martell Foundation has already raised close to $100,000 for the music industry’s leading foundation that funds innovative medical research focused on finding treatments and cures for cancer.Autographed guitars sold at live auctions on The Country Music Cruise and Southern Rock Cruise, silent auctions with framed autographed photographs and lyric sheets, an exlusive brunch on Half Moon Cay featuring an unplugged performance by Shenandoah and Jimmy Fortune and the Washington DC Best Cellars Dinner all supported the T.J. Martell Foundation’s initiatives. In addition, StarVista LIVE will make a donation to the Foundation for every cabin booked on any of the company’s music-themed cruises using the exclusive code TJMARTELL. The 2020 Country Music Cruise, featuring funnyman Larry The Cable Guy, Randy Owen, Tracy Lawrence, The Oak Ridge Boys, Pam Tillis and more, is already close to 70% sold out. Setting sail January 25, 2020 from Ft. Lauderdale to St. Maarten, San Juan and Half Moon Cay, fans are encouraged to book cabins now at www.countrymusiccruise.com . StarVista LIVE creates unique entertainment experiences that bring fans together to relive their favorite moments, create new memories, and enjoy unparalleled access to the superstars they love. StarVista LIVE cruise events include the Malt Shop Memories Cruise , the Soul Train Cruise , The Country Music Cruise , The Flower Power Cruise, the ‘ 70s Rock and Romance Cruise , the Southern Rock Cruise and the Ultimate Disco Cruise. StarVista LIVE is a division of Direct Holdings Global. 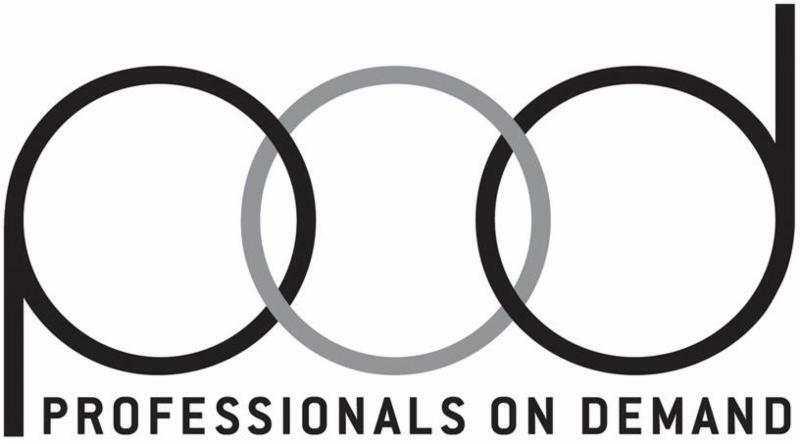 Direct Holdings Global is a leading multi-channel marketer with a broad portfolio of products and services, most notably associated with the success of the StarVista and Time Life brands, delivered with a commitment to excellence and integrity. 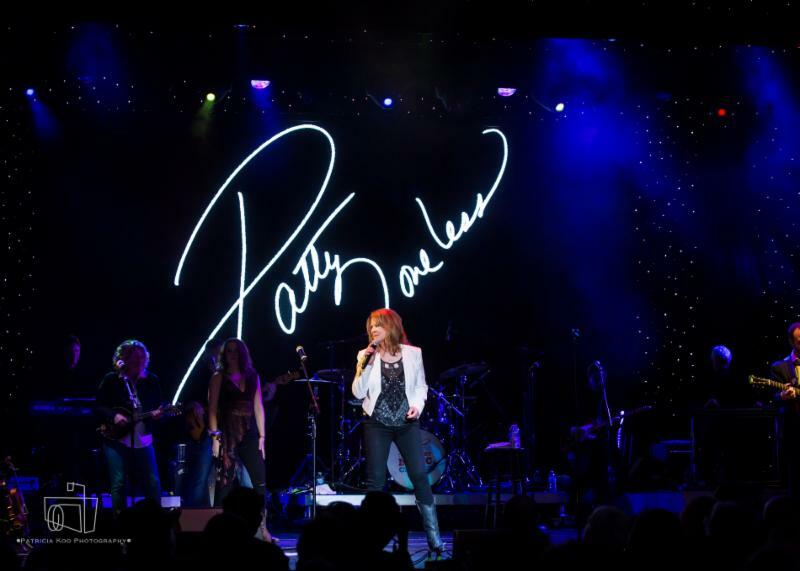 Patty Loveless performs on the 2019 Country Music Cruise Mainstage. 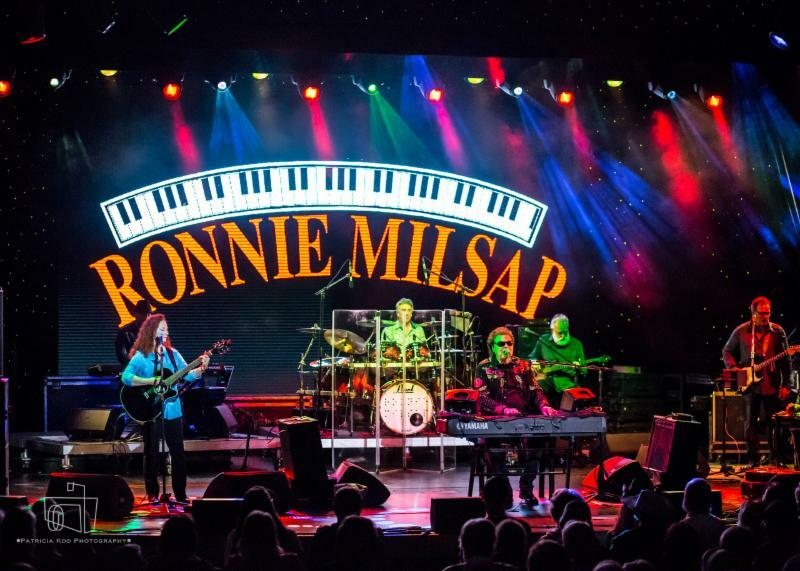 Ronnie Milsap performs on the Mainstage of The 2019 Country Music Cruise. 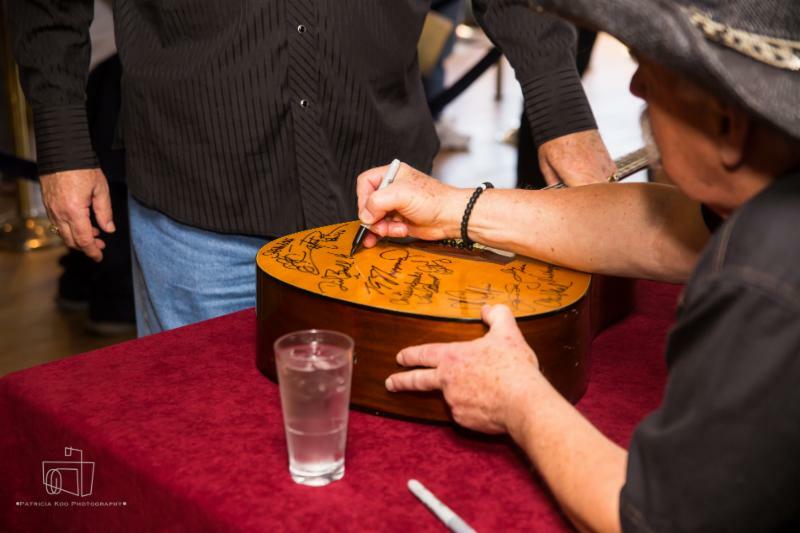 Howard Bellamy of The Bellamy Brothers signs a guitar for a fan on board the 2019 Country Music Cruise. 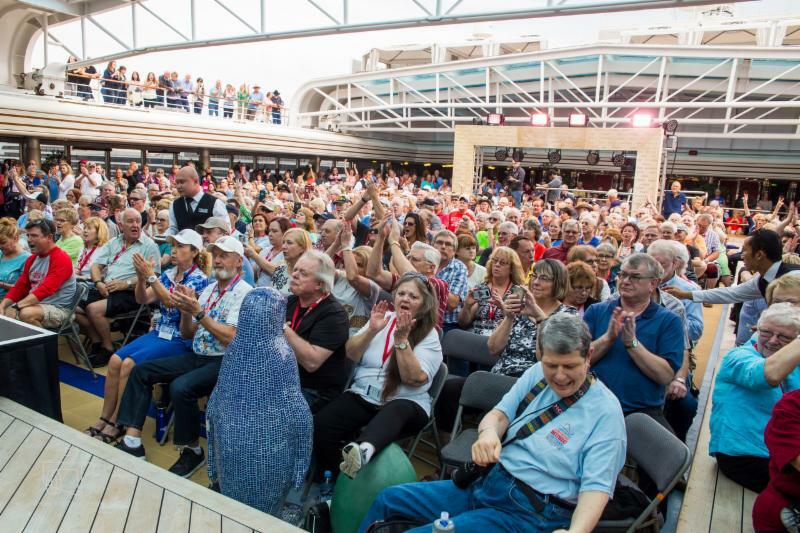 Fans pack the pool deck for one of many performances on board the 2019 Country Music Cruise. 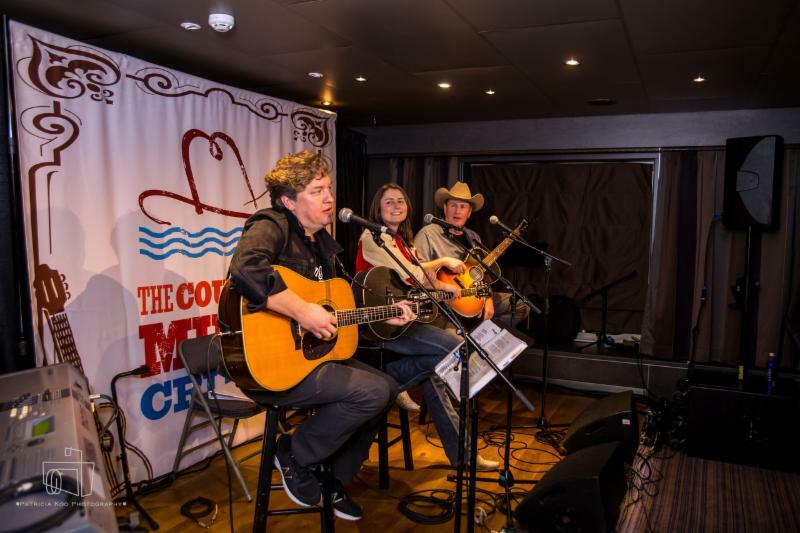 David Ball (r.) joins singer/songwriters Erin Enderlin (c.) and Shawn Camp (l.) during one of the nightly Songwriter Sessions on board the 2019 Country Music Cruise. 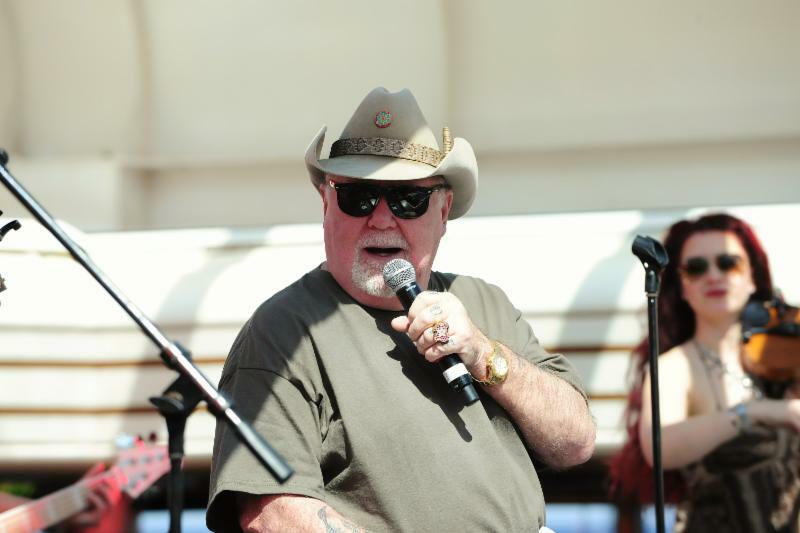 Johnny Lee performs on the pool deck on board the 2019 Country Music Cruise. 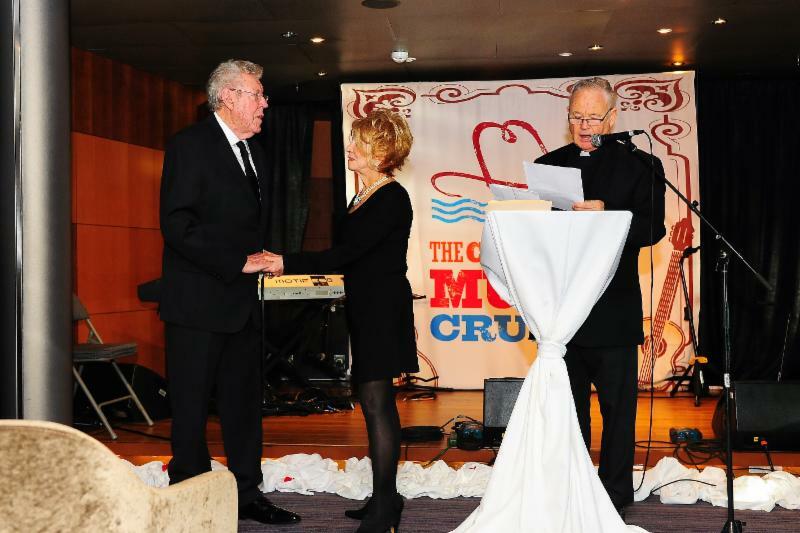 Jeannie Seely and husband Gene Ward renew their vows on board the 2019 Country Music Cruise. Best-selling author and journalist Deborah Evans Price leads the Country Faith Seminar with (l. to r.) - Howard Bellamy, David Bellamy and Jimmy Fortune. Chuck Mead (l.) and Wade Hayes (r.) perform on the Grand Ole Opry at Sea event on board the 2019 Country Music Cruise.